Is This Dog The New Face Of Terrorism? If anyone has ever questioned the efforts of the government and it’s ability to keep citizens safe from terrorism, then this could be the proof that we’ve all been looking for. 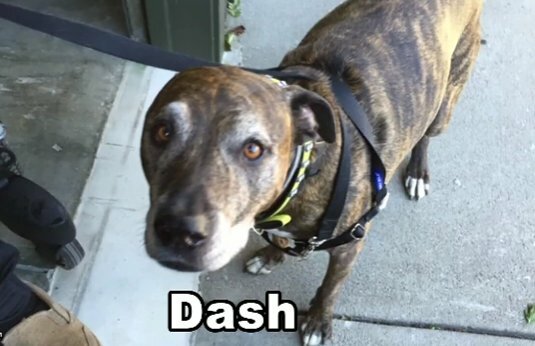 Bruce Francis, who suffers from multiple sclerosis, wrote a monthly check to his dog walker and put in the memo, “for Dash.” Dash is the name of his nine year old pit bull mix. There was nothing out of the ordinary as he’s been doing the same thing for the past two years. This time, Chase Bank saw it differently. Why was this a big deal? Apparently the name “Dash” is very close to the word “Daesh,” which is another name for the terrorist group ISIS. Chase turned the transaction over to The Office of Foreign Assets Control, which is run by the U.S. Treasury. Watch the video for more on this story and some funny commentary. ← She Was Abused And Frightened. But Just Look At Her Now..